Hope is an amazing 16 year old girl! 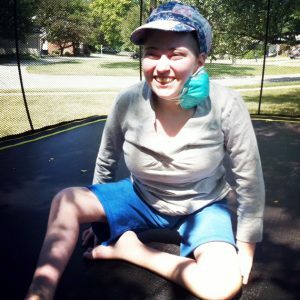 She has endured 93 surgeries and is the most joyful person you will ever meet. Hope suffers from Anaplastic Anemia. She is an inspiration to all who know her! Hope’s gift was a trampoline she can enjoy with her brothers and sisters, and also a Somerset Mall gift card.